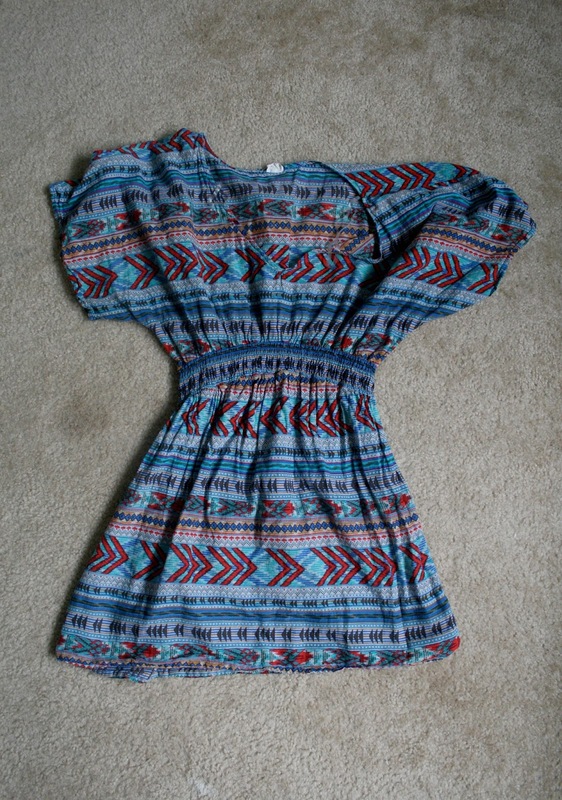 So, I have this dress/shirt/tunic top. I absolutely love the print but, as you can tell by my description of it, it’s an awkward length. I think I’ve worn it a total of 2 times in the year (probably longer) that I’ve owned it. Once as a dress and once as a shirt. 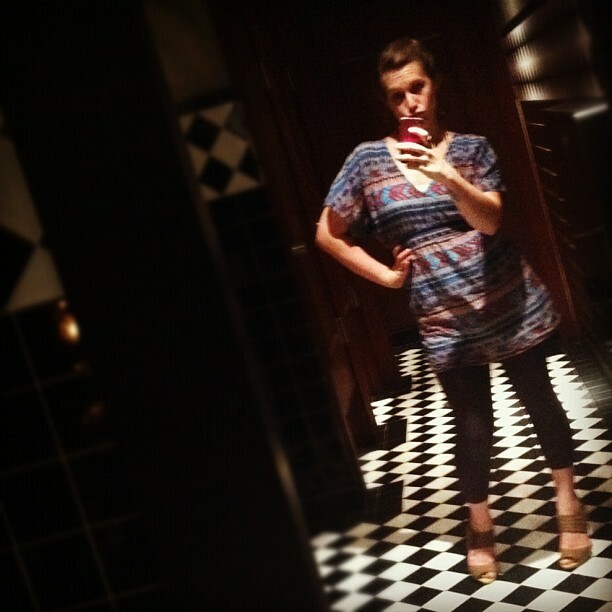 Proof that I wore it! Both times I just felt weird in it. But I hated to give up the print that I loved so much. Here’s how I remedied that! 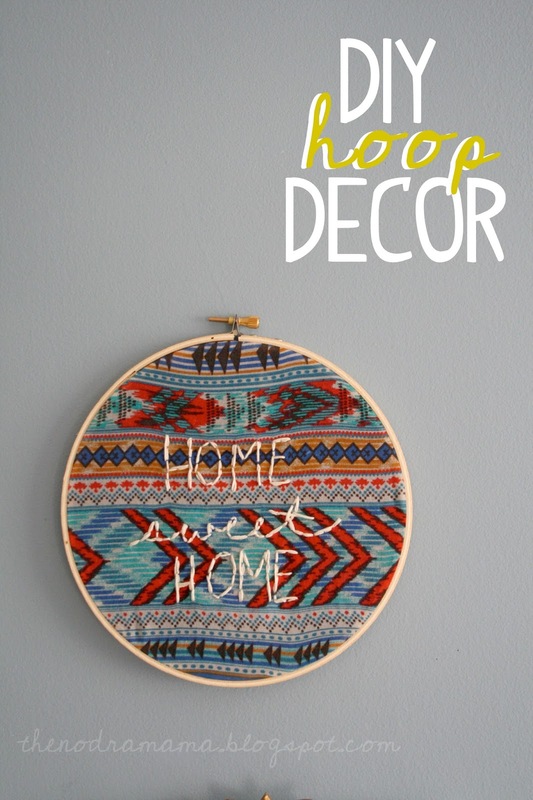 Cut out a piece of your fabric that will cover the hoop. I cut mine right above the gathering and now can wear the bottom half as a skirt! Lay the fabric over the inner hoop and place the outer hoop on top. Pull the fabric taught and tighten the the hoop until it doesn’t move. Draw out your design. You can free hand it if you like but I didn’t think I could pull that off. 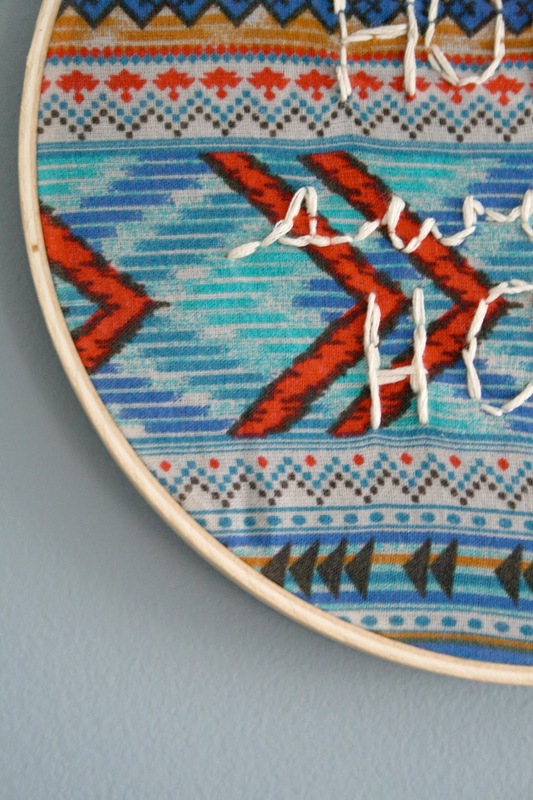 Trace your design with stitches as many times as needed. My fabric is busy and a little dark so I made two rounds of stitches on each word. When you’re happy with how the front looks, start gathering the access fabric on the back by sewing it together. Of course I added it to my gallery wall!